Home Management What Are the 5 Biggest Challenges in 2018 for Hospitality? Hospitality is one of the largest and fastest-growing industries in the world. We have decided to kick off the new year by looking at some of the key challenges (and tips) to help you navigate your way through the industry this year. In this article, we will share with you five potential obstacles that we expect to impact the Hotel Industry in 2018. With an influx of new players in the hospitality sphere, especially in the peer-to-peer accommodation market, it is essential that hotels reinforce their competitive advantages. Modern solutions such as Airbnb, a platform which allows travelling guests to stay with hosts in their house, have proven to be very popular for the competitive price range, the flexibility and freedom afforded by staying in a home and for the opportunity for cultural exchange. But what do hotels have that Airbnb can’t offer? Amenities: Hotels can offer various services such as WiFi, housekeeping, restaurants, room services, toiletries and many, many others. Consistency: Customers know exactly what to expect when they walk into a hotel room and have the confidence and enjoyment of a consistent experience. An Airbnb bedroom remains hit and miss! Sophisticated level of service: A top-notch hotel can provide a far better service than other accommodation options thanks to the trained staff that execute the service. For example, a 24/7 receptionist can help to ensure guests enjoy a simple check-in at any point of the day. This is often not the case with other platforms and options. Trust and safety: Strict regulations make hotels more reliable and safe. With increasingly demanding and rigorous customers expecting more and more from hotels, it is crucial that companies focus on providing a fantastic customer service, on providing positive reactions to customer’s feedback and on rewarding regular customers. Centralized operations: Infraspeak API allows the integration of the platform with others that are already used by the hotel, such as reservations management. Find out more at: Overcoming hotel operation challenges with Infraspeak for Hotels. Some of the services required in the hotel industry are highly personalised which means it is necessary to devote more time to guests and to optimise operations within every team. This will allow for a higher rate of staff retention, as they will enjoy a more organized work schedule. With Infraspeak for Hotels, you can use a Preventive Maintenance module, where the staff can easily create multiple work orders to better organise and manage calendars and schedules.Equally, the Corrective Maintenance module can make reporting and resolving failures far quicker for all of your staff. Given the expensive and time consuming nature of finding the ideal candidate for positions, small changes to the quality of the work schedule will have a big impact on staff wanting to stay. “Going Green” remains an important challenge for the fast-growing tourism destinations around the world. 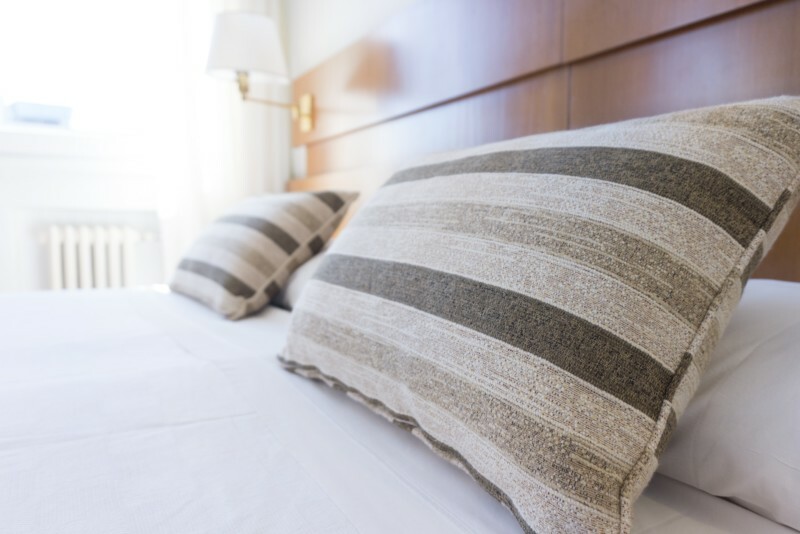 It is important that hotel managers try to redesign the product/services offered so that it uses fewer environmentally harmful or resource-depleting raw materials. Simple processes, such as recycling, installing water-saving toilets or shower heads, shifting PVC key cards to options made from bio-plastic, or going paper-free should be adopted by every hotel unit. Customers are now better informed than ever before. People are visiting more and more countries/cities, with many new countries making a real name for themselves. With so much competition, utilising technology can give you a competitive edge over competitors. In this scenario, hotels should anticipate evolving customer needs, adapting and updating marketing approaches to effectively reach the target audience. Technology disruption also has a big influence on the inner operations of a hotel. One trend for 2018 and beyond is the adoption of platforms that allow for a new work paradigm that is more agile and better integrated and supported by technology to enhance communication between staff. In this way, Infraspeak can be a helpful interface as it can improve the quality and efficiency of operations (saving time), while simultaneously saving costs. Previous articleHow to Prepare a Preventive Maintenance Plan? Next articleWhat Are the 5 Biggest Challenges in 2018 for Facility Management?